All this also means the blog will be VERY simple this week. 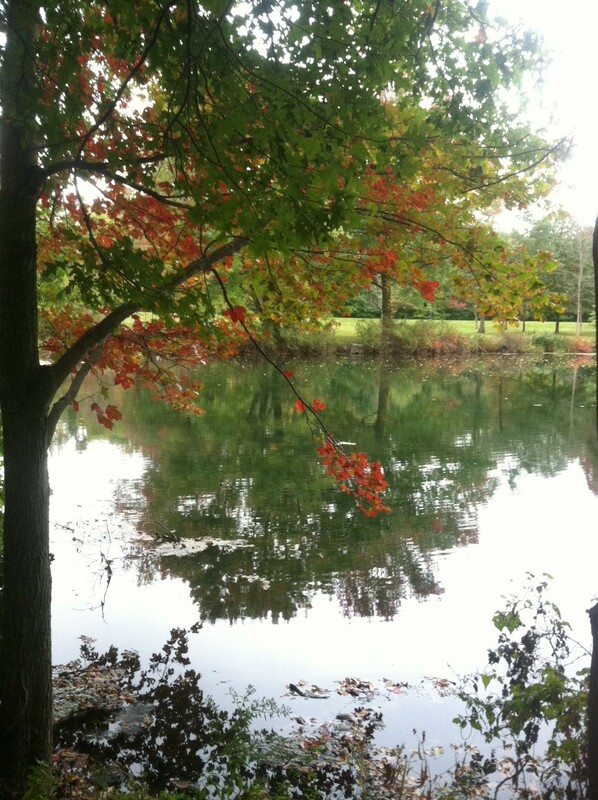 Took this on Columbus Day–gives me a quick serenity fix in a pinch. One huge shout-out: Heartfelt gratitude goes out to our veterans. I could thank you to the limits of the Milky Way and back and still not thank each of you enough for your sacrifice. And active-duty military personnel? Ditto. Older Son was about 12 months and sitting in his high chair. With a water-based marker, I drew a smiley-face on the chair’s tray, figuring I’d do the eyes, ears, mouth, etc thing. I was capping the marker when he looked at my sketch and said, “Hi.” What are the odds he was way ahead of me, lol? I’m pretty sure Older Son is the artist. I referred to this a few posts ago: the kid-art on the louver door in the bathroom I will NEVER paint over. If this sketch is an inch big, I’m overestimating, lol. Of course I could go on and on, but I’ll share one episode that really had me flumgubbered. Same kid was anywhere from three to four years old. I was getting him into his car seat and noticed the container of wipes I normally kept in the car was face down, flip-lid open and flat on the carpet. I picked it up and was pleased to note (and comment) that the wipes hadn’t dried out. Somehow, he’s always gotten how things relate to one another. Your turn, and yes, you may share about any child (niece, neighbor, student, etc) who has left you slack-jawed with their ability to infer!